Daytona Beach, Fla. — Daytona Beach is a national destination, attracting vacationers from across the country to attend NASCAR races and take a drive on the area’s famed beaches. What people are less familiar with is Daytona Beach’s rich golf history. Golfers know the area as the home of the LPGA’s headquarters and, of course, LPGA International, a highly acclaimed 36-hole facility, but Daytona Beach has been attracting players for more than 100 years. Here are three things you likely didn’t know about Daytona Beach’s long-standing ties to the game. — Donald Ross, who was born in Scotland before later becoming an American citizen, is widely regarded as America’s most important golf course architect. He designed Pinehurst No. 2, Oakland Hills, East Lake Golf Club and Seminole Golf Club, among many other high profile layouts. Ross also left his mark in Volusia County, designing the South Course at Daytona Beach Golf Club and New Smyrna Golf Club. Like many Ross designs, the challenge at the South Course lies in the greens complexes. New Smyrna, which opened in 1953, is the “new” Ross course. Boasting outstanding year-round conditions, it is one of the area’s hidden gems. — When it comes to competitive golf, Daytona Beach is, understandably, closely associated with the LPGA Tour, but did you know the area is home to golf’s longest running mini-tour event – the Riviera Open? Riviera Country Club has hosted the tournament since 1960 and future PGA Tour champions are among the event’s past champions, including 7-time Tour winner Bert Yancey, Morris Hatalsky, and Billy Hurley III. — Spruce Creek Country Club isn’t just a quality William Amick designed golf course, it’s the centerpiece of America’s largest fly-in community. That’s right, Spruce Creek is built around what used to be a U.S. Navy landing strip during World War II. Playing the eighth and ninth holes you might have a plane just a couple hundred feet over your head, adding an adrenaline rush to your quest to make birdie. The Great American Race and the World’s Most Famous Beach are Daytona Beach’s calling cards, but the area has plenty to offer golfers in search of a memorable of trip. For more information, go to DaytonaBeach.golf. Shinnecock Hills Golf Club, NY, U.S., Sunday, 17 June 2018 – Rolex Testimonee Brooks Koepka has claimed an unforgettable victory at the 118th U.S. Open, in a successful title defence following his win in 2017, ensuring his name will not only be etched on the trophy forever, but also into the history of this inimitable championship. 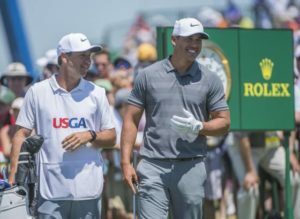 Rolex Testimonee Koepka and Caddy. 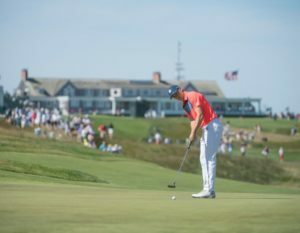 Nestled in the luxurious surroundings of the Hamptons in New York state, the prestigious Shinnecock Hills Golf Club upheld the U.S. Open tradition of rewarding extreme accuracy, and after four rounds of competitive golf on the challenging 7,448-yard layout, Koepka’s final score of one-over-par, gave him a one-shot victory in the second men’s Major of the year, for which Rolex has been the Official Timekeeper since 1980. 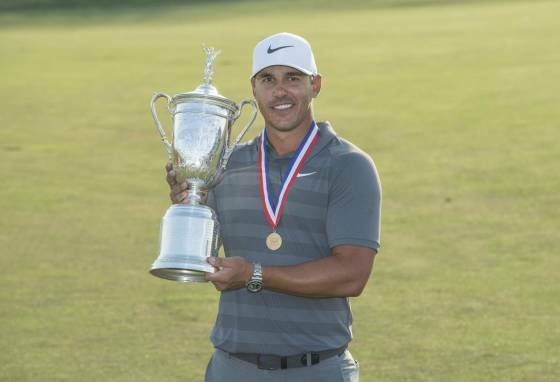 Koepka becomes just the second golfer to successfully defend the U.S. Open in the modern era, following in the footsteps of fellow Rolex Testimonee Curtis Strange, who’s second victory was also made in the Empire State, 29 years ago. With this historic win, Koepka is now part of an elite group of Rolex Testimonees in addition to Curtis Strange, to have recorded multiple U.S. Open wins, including four-time winner Jack Nicklaus, three-time champion Tiger Woods and two-time U.S. Open victor, Retief Goosen. 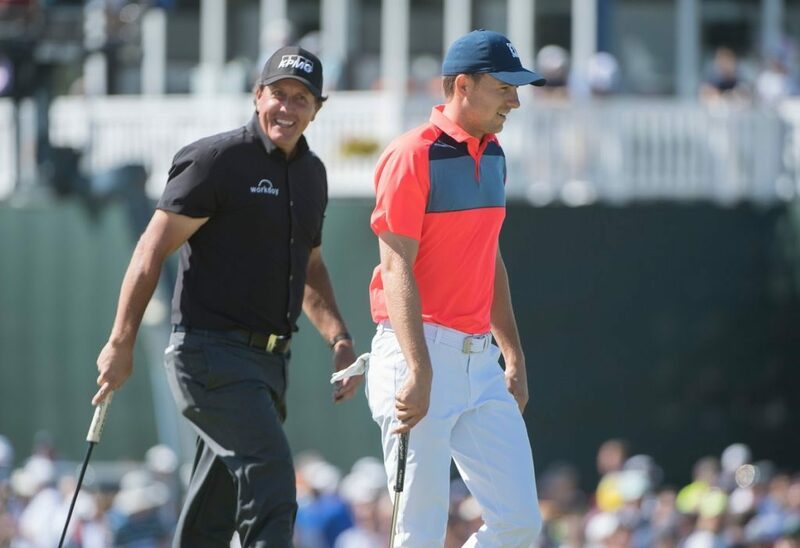 With rounds of 75, 66 and 72, the 28-year-old Floridian co-led the tournament going in to the final round, and displaying continued precision, discipline and determination, scored five birdies in a final round of 68. Having co-led at the 54-hole stage, fellow Testimonee Daniel Berger ended the tournament tied sixth, recording his second career top-10 in a Major. Tiger Woods playing the fifteenth on the first day. 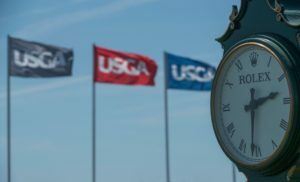 Myrtle Beach, S.C. — The 35th annual PlayGolfMyrtleBeach.com World Amateur Handicap Championship is more than two months from teeing off, and more than 2,850 players from 48 states and 25 countries have already registered for the tournament. A 72-hole, net stroke play event, the World Am annually attracts 3,000+ players, and it’s tracking more than 10 percent ahead of last year’s pace. The surge has been driven by an increased number of international, female and first-year players. The cost of entry is $575 and players can register until August 1 at www.MyrtleBeachWorldAmateur.com. The World Am will be played August 27-31 on more than 60 of Myrtle Beach’s best golf courses as players are placed in tightly grouped flights based on age, gender and handicap. After four rounds of play, all flight winners and ties advance to the World Championship Playoff, an 18-shootout that crowns the event’s champion. Players are flighted into nine divisions – men 49 and under, senior men (50-59), mid-senior men (60-69), super senior men (70-79), seasoned seniors (80+), women, the gross division, senior (50+) gross division. There is also a “Just For Fun” flight, created for players who want to enjoy the World Am experience without the pressure of competition. While the competition is initially what lures players to this bucket list event, it’s only part of what keeps them coming back. At the heart of the World Am’s appeal is the camaraderie among its participants and much of that kinship is fostered at the World’s Largest 19th Hole. 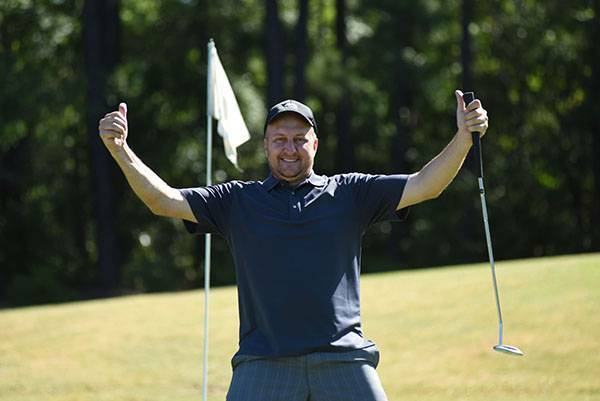 Each night of the event, the 19th Hole overtakes all 120,000-square feet of the Myrtle Beach Convention Center, providing participants with free food and drinks, live entertainment, celebrity guest appearances, a golf expo and more. 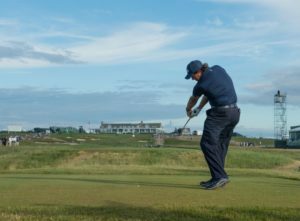 Among the big names that have appeared at the 19th Hole in recent years are David Feherty, Brandel Chamblee, Charlie Rymer and John Daly. WHITE SULPHUR SPRINGS, W.Va. – (May 24, 2018): The newest addition to the award-winning golf offerings at The Greenbrier and The Greenbrier Sporting Club will follow in the tradition of excellence that has become synonymous with America’s Resort, but it will also provide a fresh and unique option for today’s modern golfer. Scheduled for an August 2018 opening, The Ashford Short Course at The Greenbrier Sporting Club will be a walking-only 9-hole loop of par 3 holes ranging from 56 to 112 yards in length. 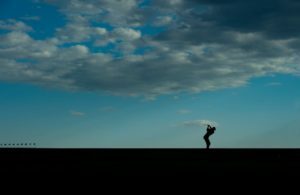 The holes will pay tribute to revered architects and courses around the world and provide a relaxed family environment that will be entertaining for golfers of all levels and abilities. Available for both members of The Greenbrier Sporting Club and guests of The Greenbrier, the newest golf offering will perfectly complement the courses already in place – The Old White TPC, which hosts The Greenbrier Classic annually, the redesigned Meadows Course, which features signature stacked sod bunkers, and The Snead Course, an award-winning Tom Fazio design exclusive to members of The Greenbrier Sporting Club. In addition to providing a place for beginners to learn the game or an experienced golfer to work out the rust in his or her short game, the course will host unique events like night golf and closest to the pin contests. The new course’s name, The Ashford Short Course, pays tribute to the rich history at The Greenbrier and remembers a unique moment in The Greenbrier’s more than 240-year past. In 1942, the historic resort was sold to the United States Army, and it became a hospital for sick and wounded soldiers during World War II. Named for Army physician Col. Bailey K. Ashford, Ashford General Hospital treated more than 25,000 soldiers from 1942 through 1946. It employed 45 doctors, 100 nurses and 500 enlisted men, along with hundreds of volunteers. The recovering servicemen benefited by using The Greenbrier’s immaculate facilities – including the pool, the golf courses and the tennis courts – during their recovery. 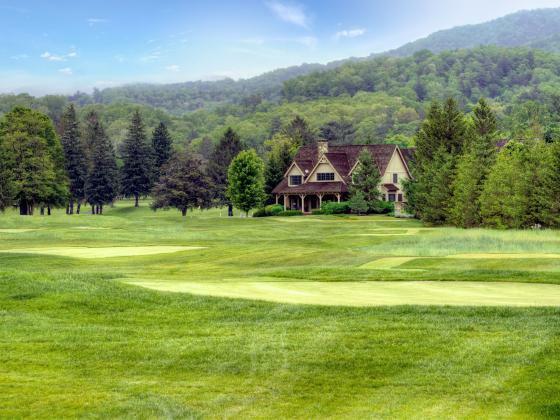 Set in the valley floor with breathtaking views of the surrounding mountains, the course will be accompanied by seven new home sites for members of The Greenbrier Sporting Club. For more information on The Ashford Short Course, visit www.greenbrier.com/ashford. The Greenbrier is a distinct and spectacular luxury mountain resort situated in the Allegheny Mountains in White Sulphur Springs, West Virginia. It’s best known as “America’s Resort” and is synonymous with world-class, authentic, southern hospitality. The Greenbrier experience, beginning in 1778, offers a luxurious respite to discerning guests from around the world. The grand scale architecture, Dorothy Draper décor, immaculate attention to detail and legendary gracious service set The Greenbrier apart from all others. Guests walk in the footsteps of Presidents, celebrities and generations of families who regard The Greenbrier as a “one of one” destination. The 710 perfectly appointed Signature Resort Rooms, Classic and Historic Suites, Legacy Cottages and Estate Homes are situated on our breathtaking 11,000-acre playground. 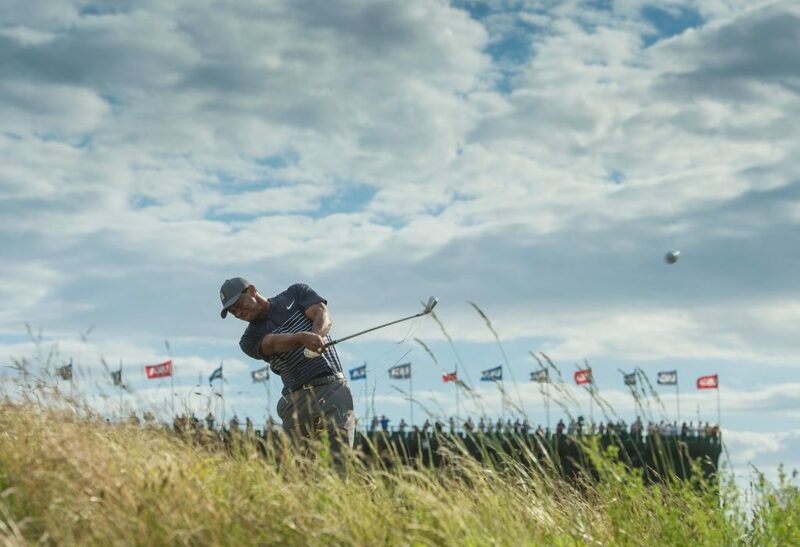 Play championship golf courses or experience more than 55 activities, including professional indoor and outdoor tennis, Off-Road Driving and Falconry. America’s only private casino features table games, slot machines and simulcast racing. The Greenbrier’s full-service, 40,000-square-foot world-renowned spa is widely recognized as one of the most luxurious mineral spas in the world, and the Retail Collection is comprised of 36 boutiques, shops and hand crafted works of art. In addition to The Main Dining Room, The Greenbrier Restaurant Collection is comprised of 19 restaurants, cafés and lounges featuring traditional, award–winning southern-inspired cuisine. The Greenbrier Clinic has been practicing diagnostic medicine since 1948 and in 2014 was expanded to include a full-service MedSpa and Plastic Surgery Center. The Greenbrier Sporting Club is the pinnacle of luxury real estate, offering exclusive home sites within distinctive neighborhoods across The Greenbrier estate.Follow The Greenbrier on Facebook at The Greenbrier, on Twitter at @the_greenbrier or on Instagram at the_greenbrier. The Greenbrier Sporting Club, a residential sporting community, is the pinnacle of luxury real estate in West Virginia, offering exclusive home sites from $300,000 and homes from $1 million within distinctive neighborhoods set across the 11,000-acre estate of The Greenbrier. Homeowners who become members of The Greenbrier Sporting Club, Inc., a private equity club, enjoy access to an array of private amenities, including: two members’ lodges; outdoor pools; award-winning golf at The Snead – an 18-hole, Tom Fazio- designed golf course; Eastern-inspired spa (Ananda in the Alleghenies); full-service equestrian center; private access to miles of trout streams and a sports complex with indoor squash courts and a 25-foot climbing wall. Membership in the private Club also provides access to more than 55 amenities and activities at The Greenbrier resort. 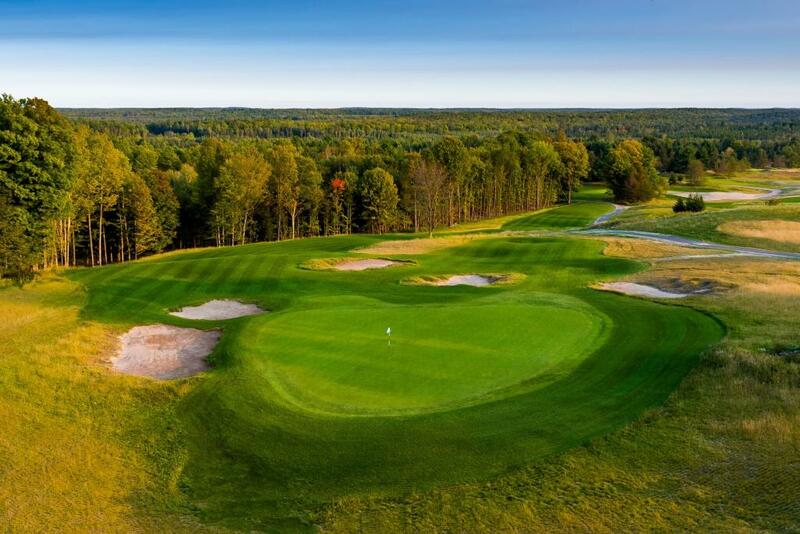 Escanaba, MI – Spring and golf season have finally arrived in Michigan’s scenic Upper Peninsula, and Island Resort & Casino, located just outside of Escanaba, and its award winning Sweetgrass Golf Club have opened for the season. The resort is also preparing to open the third new golf course in Michigan in three years, Sage Run, when it comes online July 10. 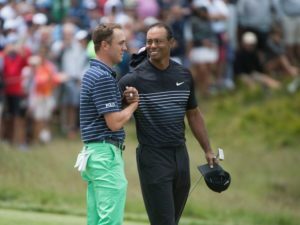 Michigan has long been known as one of the top states for golf and the scenic Upper Peninsula region has quickly joined the ranks as a top golf destination thanks in large part to the growth and expansion of golf at the Island Resort & Casino. Sweetgrass, designed by Paul Albanese, ranks among Golfweek’s Best Courses, as well as recognition by GOLF Magazine and Golf Digest as a Best in State. Sweetgrass features an open layout with some of the game’s most exciting greens to putt (Redan, Biarritz, Island, and Double-green). In addition, the course features some wonderful strategic holes including the famous island green No. 15, and some spectacular finishing par 5 holes on each side. Sweetgrass is also part of the “Road to the LPGA” with its Symetra Tour Island Resort Championship (June 22-24) featuring the future of women’s professional golf. Opening July 10, 2018 will be the Sage Run course, also designed by Albanese, which provides a different and fun golf experience. The land at Sage Run is 180 degrees in contrast from its sister course Sweetgrass with its prairie links style. 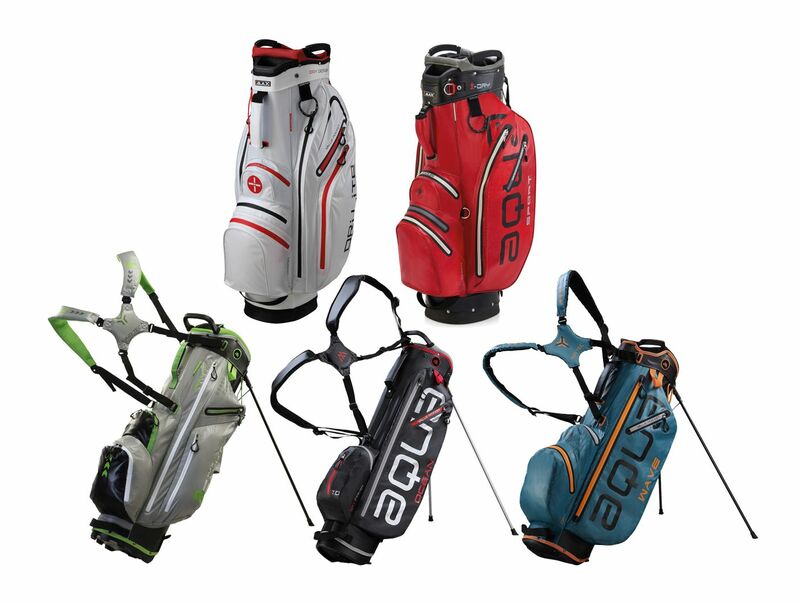 The course meanders through beautiful Upper Peninsula hardwoods and open vistas including up and around a natural drumlin or ridge providing a scenic variety of shots creating a fun thrill ride for golfers. Golfers seeking to escape the stress of the big city and experience a scenic and peaceful golf vacation among the rugged beauty of Michigan’s Upper Peninsula should plan a trip to the Island Resort. The Island Resort & Casino golf packages combine the best golf in the region led its Sweetgrass and new Sage Run courses. The fully customizable packages offer 1, 2, 3, and 4-night lodging options with up to four rounds of golf. Package prices range from $95 – $758 depending on the time of year and single/double occupancy. Golfers will also receive $5 promo cash, $5 Bingo coupon, $5 drink coupon, $5 dinner coupon per night, and $5 off spa services at the luxurious Drift Spa. The destination is easily accessible via a pair of regional airports in Escanaba and Marquette connecting through Detroit, Saginaw, Lansing or Grand Rapids. Located in Michigan’s scenic Upper Peninsula 13 miles west of Escanaba, Island Resort & Casino is one of the Midwest’s largest golf, casino and entertainment resort destinations spanning over 408,000 square feet. The resort features over 300 guest rooms including elegant suites and a 42 –site RV Park. The casino offers an all new poker room, craps, blackjack, Spanish 21, three card poker, let-it-ride, roulette, and bingo. The resort amenities also include the luxurious Drift Spa offering a variety of high-end spa services with access to the resort’s salt water pool, steam rooms and sauna. Multiple dining options include the signature 5 Bridges Steak and Seafood House, 5 Bridges Pub, Firekeepers Restaurant, T. McC’s Sports Bar, Coral Reef Grille, Signature Subs & Pizza and The Coffee & Custard Shop featuring items from The Bakery. The Island regularly hosts headline entertainment in the intimate 1315 seat Showroom as well as weekly bands and comedy entertainers in Club 41. The Island Convention Center provides the perfect venue for special events, business meetings, and weddings. Award-winning golf has become the centerpiece of the Island Resort & Casino. 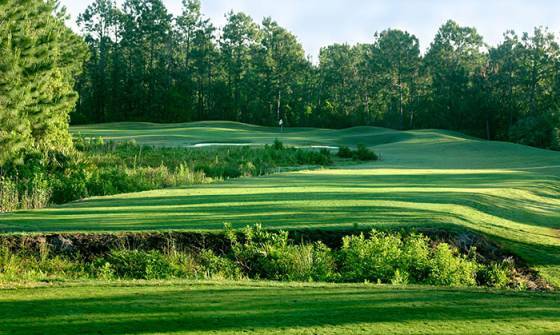 Sweetgrass, ranked among Golfweek’s Best Courses, as well as recognition by GOLF Magazine and Golf Digest as a Best in State ranking, features an open layout with some of the game’s most fun greens to putt (Redan, Biarritz, Island, and Double-green). Sweetgrass is also part of the “Road to the LPGA” with its Symetra Tour Island Resort Championship featuring the future of women’s golf. New for 2018 will be the Sage Run course, also designed by Paul Albanese (Sweetgrass) providing a different kind of golf experience where holes flow through the hardwoods and around a drumlin ridge.